If there is one thing that both residential and commercial properties need, it would have to be maintenance free gutters. Getting up on rickety ladders or hiring someone to constantly come and clean out your gutters can get very old, very fast. This is why Minnesota Leafless Gutters offers maintenance free gutters that are the perfect solution to any residential or commercial Minneapolis property. The absolute best way to prevent your gutters from clogging up and to keep your gutters maintenance free, is to install our gutter covers! Don’t even step foot on that ladder again! Gutter guards, gutter toppers, gutter screens, and gutter filters are all ways to keep the junk out of your gutters. Our gutter covers effectively keep your gutters clear of debris so that water can run smoothly down the spout, protecting your home through all types of weather and precipitation. Minnesota Leafless Gutters can install these covers along with our seamless gutter systems. We can also apply it to your existing gutter system now. Ultimately, keeping our property owners off of the ladder and keeping your gutters functioning properly is our goal! Operation no more cleaning out leaves is a go! Our gutter covers are available in all different colors to match your home perfectly. 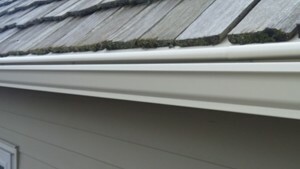 Our gutters are made to add quality and functionality to your home, not take away from it. When you choose our seamless gutter system for your home or business property, you are choosing an option that will only add value to your home. We have been serving the Minneapolis, MN area for over 17 years. As a local company, we understand how gutters work and function for all different types of homes. We are educated in the type of gutter system, as well as the material that is needed for our climate, and will give you an honest and affordable price. We are licensed and insured and will come out to your home and go over the best options for you, keeping quality and style in mind. Functionality is key for the Minneapolis climate but it does not mean you have to sacrifice it for style. Call us today and learn more about our maintenance free gutter options with our seamless gutter systems. For more information about all things gutters in Minneapolis, MN, contact Minnesota Leafless Gutters at 612-221-0363. We look forward to being a service you can count on in the future!